With a blackened stainless steel case in combination with an orange alligator strap, the ATUM Pure M Orange has a sporty touch with surprises beneath. 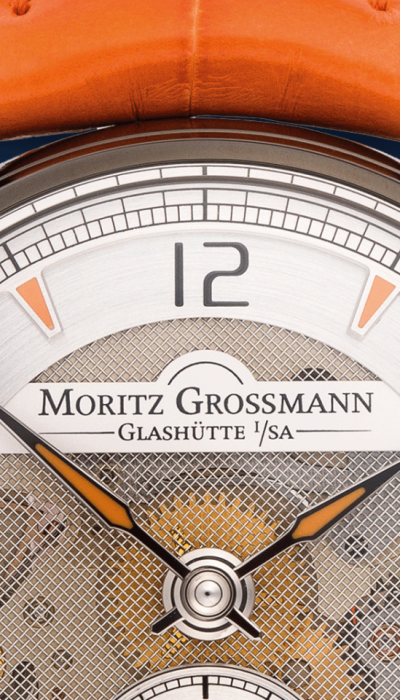 The dial is crafted from delicate filigree steel, offering an eye-catching view into the movement. The unique lance-shaped hands match the indexes with orange HyCeram, matching the dial’s eight orange indexes with black Arabic numerals to mark the hours. At 6 o’clock, the small second shimmers in silver thanks to the evenly applied cut. Moritz Grossman is working on something very special. Details regarding purchase options for the ATUM Pure M Orange will be published in the coming weeks. 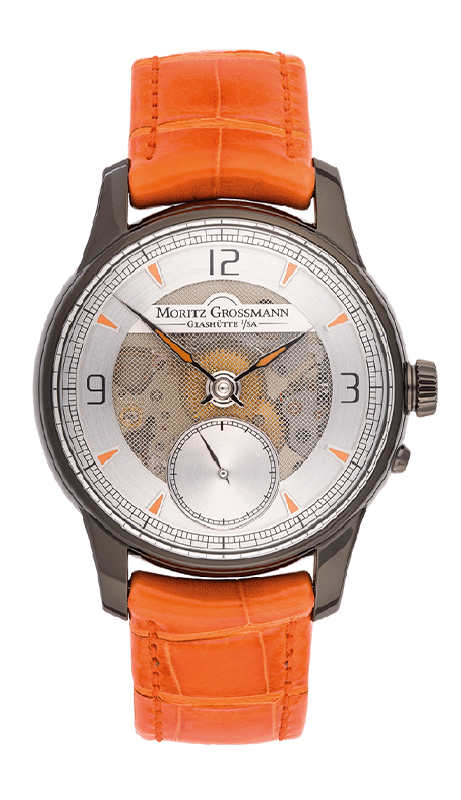 Discover everything about the heart of the ATUM Pure M Orange.